In September last year, car manufacturer Volkswagen was caught cheating on emission tests in the US – the ‘Dieselgate’ scandal was unleashed and quickly went on to also hit Europe. 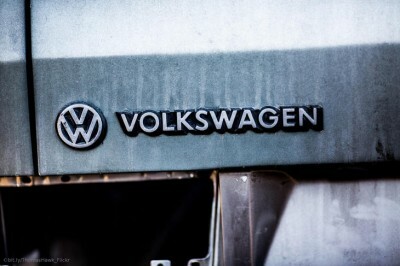 Like in the US, VW diesel cars manufactured in the EU were found to contain cheat devices which under lab conditions would throttle the emission of harmful nitrogen oxides, pollutants which in 2015 caused an estimated 75,000 premature deaths in Europe alone. Today, Karl Falkenberg and Daniel Calleja Crespo – two of the highest-ranking former Commission officials from DG Enterprise and DG Environment – will be heard at the European Parliament’s dieselgate inquiry committee. The leaked 2012 correspondence between both departments already highlights a collaborator spirit that links certain parts of the Commission with the car industry, something which both Falkenberg and Calleja Crespo have been disputing heavily.The leaked internal correspondence reveals a severe clash between the two departments – DG Enterprise on the one hand, which led on the development of tougher emissions tests and then tried to skimp when implementing these, and DG Environment on the other hand, which pressed for the timely implementation of the new measures.Aware of the higher accuracy of these Real Driving Emissions (RDE) tests it had helped to devise and concerned about subsequent profit losses for car manufacturers, DG Enterprise wanted to keep diesel cars on the roads – and on sale – that would clearly have been shown to exceed legal emission levels by the new tests.i Antonio Tajani, who is now a prominent MEP and EU Parliament presidential hopeful, was the one heading DG Enterprise at this time, when the department argued that “the probability of rejecting vehicles by the RDE test procedure […] has to be kept low“ii.